If you’re like many Minnesotans, your lakeshore dreams will start with a lake lot. A cabin on the lake can be many things: A secluded wilderness retreat, a friendly neighborhood where the kids can disappear for hours with friends, or just a place to get away from everything and fish. Once you’ve found just the right place, the next step is financing that lake lot and the construction of your new vacation property. 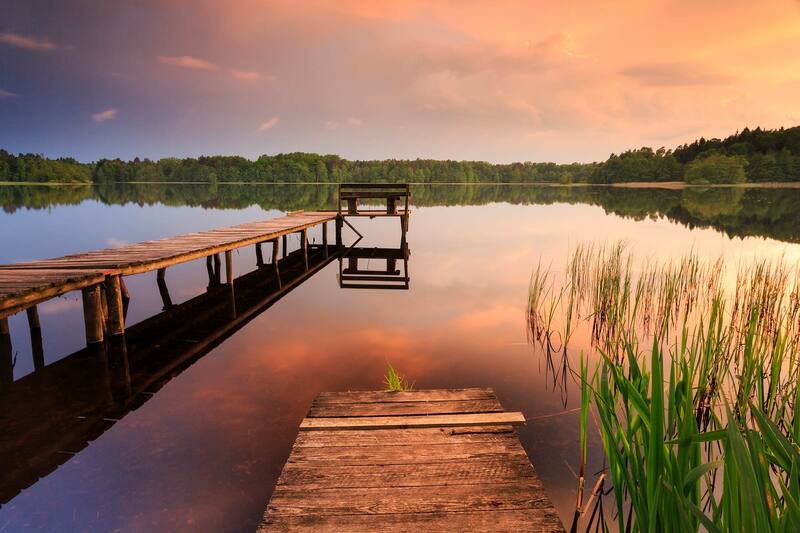 Lake and river lots can have many peculiarities such as floodplains, future development for second homes, and lack of comparable sales—but don’t let that hold you back from your dream property. Northview Bank is a lending institution with extensive knowledge of the issues associated with lake and river lot mortgages. We are located in the heart of the “Land of 10,000 Lakes” and our location means we get to finance some gorgeous water properties. With this knowledge we can direct you to the loan program that makes the most sense for you. Is your lot large enough to fit the structure you intend to build as well as the septic system and still comply with zoning requirements? Lots created since the shoreland management standards should all be big enough for most uses, but be careful of lots created prior to the standards. Be careful of lots with shallow bedrock or clay soils, as they may not be suitable for septic systems. Water quality is always very important when buying a lake or river lot. Check the DNR’s useful LakeFinder website for information on lakes you are considering. The topography of your lake lot is very important to consider: Is your lot high enough that the building site won’t flood at the high water mark? Do you know what you need to about flood insurance? If you have an understanding of the floodplain, you’ll also have a better understanding of future building locations which could greatly affect the annual costs of a water property as well as the future value of the property itself. We at Northview Bank would encourage you to look at setback, future building locations, and high water marks. A call or trip to the planning and zoning office in the county the property is located may be worth the time. Given the range of water properties available in the area—from lots on small environmental lakes of a few acres to large fishing or recreation lakes of over 100,000 acres—comparable sales can sometimes be hard find. Northview Bank’s experienced staff works to obtain a list of experienced, licensed appraisers familiar with the area to make the comparable sales issue on appraisals easier to meet. We have been the leader in financing lakeshore land for decades, offering competitive rates and low down-payment programs. At Northview Bank, qualified borrowers can finance property with as little as 10% down, making land ownership easier! With our easy-to-complete bare land application, your last two years’ W-2 or tax returns, a current pay stub, and a purchase agreement, we can have you approved the next business day, conditional on final appraisal and title work. In most cases we can close in three weeks and get you out enjoying your new water property.